Directions: Tanah Lot is only 45 minute drive north-west of Kuta, Bali. There will be numbers of road directions leading to that spot. Every locals and private/taxi drivers will know that place and know how to get there effortlessly. 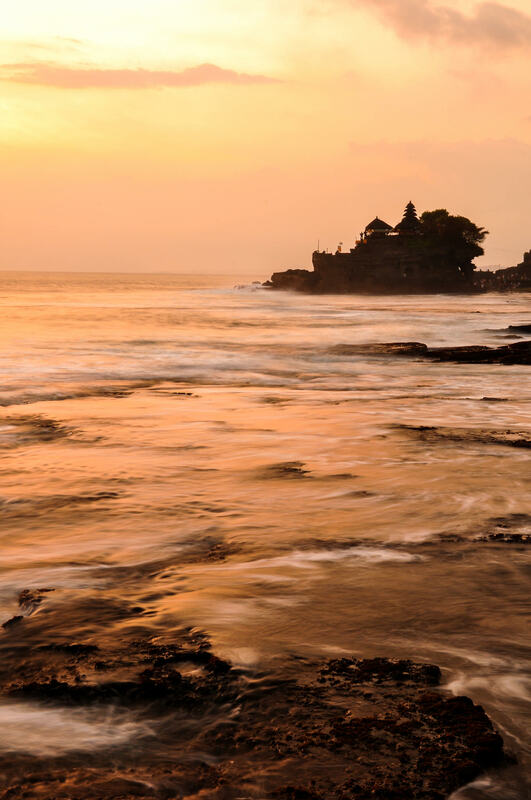 Tanah Lot is one of the most significant tourist trap in Bali, Indonesia. 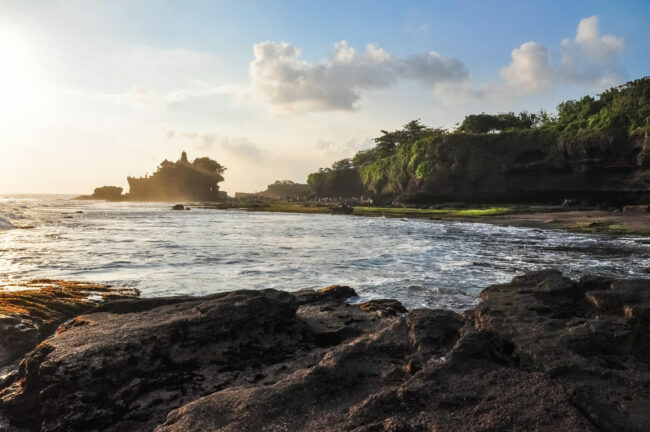 Until this day, it is still worth it to visit that “trap”, just because of the sunset and the amazing shoreline. This spot is one of those places for my early practice of photography, so please mind the settings (especially f numbers) that even I couldn’t stand to acknowledge that it was myself to do that. 2. The “Guilty pleasure” lens, Tamron 18-250mm. 1. Wide angle lens for those panoramic view of the landscape. 2. Telephoto lens to capture the scenic Lot Temple from afar. 1. Go to the far south-east of the rocky shorelines to have a more serene and less tourists spot to get nice pictures. 2. Dull weathers means dull pictures, since there are nothing but seas, no rocky islands which could still make nice silhouettes. 3. Everywhere around the shorelines has interesting spots to capture the landscape with Lot Temple as background.